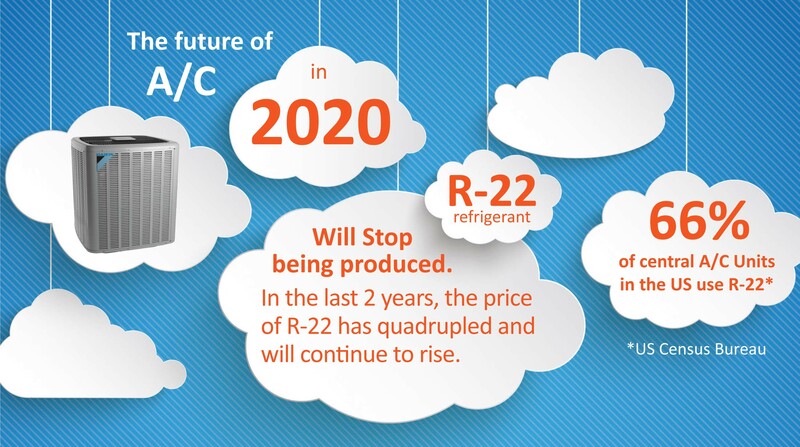 R-22 (also known as HCFC-22 or Freon) has been the most common refrigerant in residential heat pumps and air-conditioning systems for many decades. It is known to accelerate damage to the ozone layer of our atmosphere, so the EPA created a timeline to phase out its production. Does your A/C use R-22? If your unit was made before 2010, there is a good chance it uses R-22.Look at the serial plate on the outside unit of your system. Most brands have a place for refrigerant or charge type somewhere on the plate. 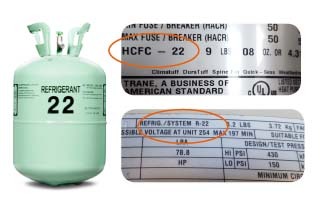 R-22, HCFC-22, or simply the number 22 all mean R-22 refrigerant is used in that model. If your air conditioner is working properly, you are not required to take action at this time. However, because the cost of R-22 is skyrocketing, some common repairs have become very expensive. Regular maintenance is increasingly important to avoid these costly repairs. You also may want to consider replacing your unit sooner than you would have otherwise. New air conditioners are much more energy-efficient, which will save you money in the long run.